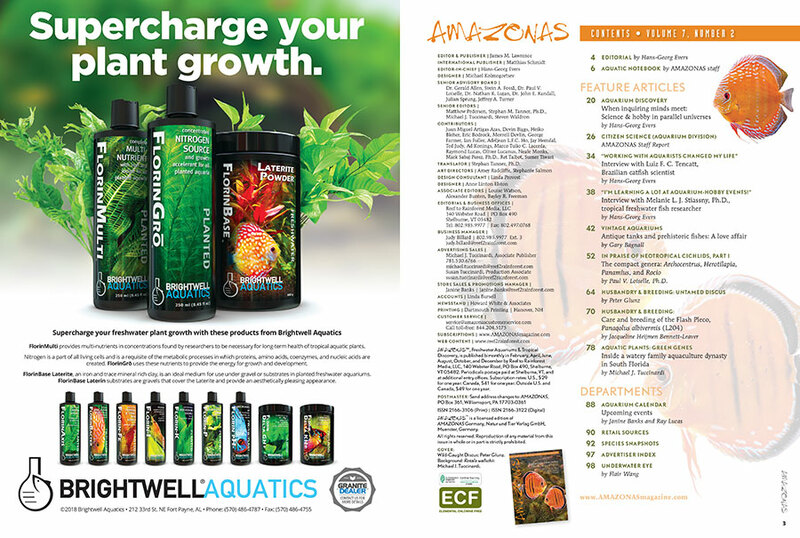 AMAZONAS Magazine, Volume 7, Number 1, AQUARIUM DISCOVERY, highlights the interconnected world of science and the aquarium keeping hobby. 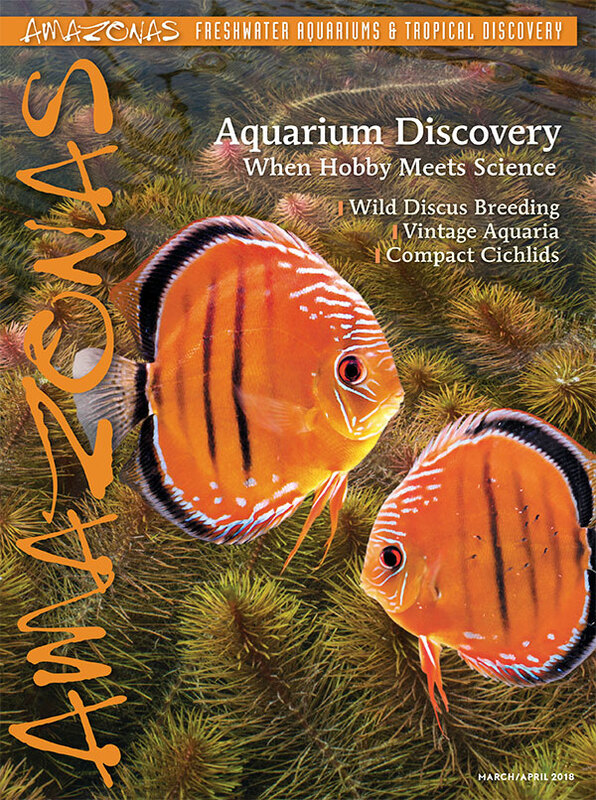 On the cover: Wild-Caught Discus from Peter Glunz, with a background of Rotala wallichii, photographed by Michael J. Tuccinardi. 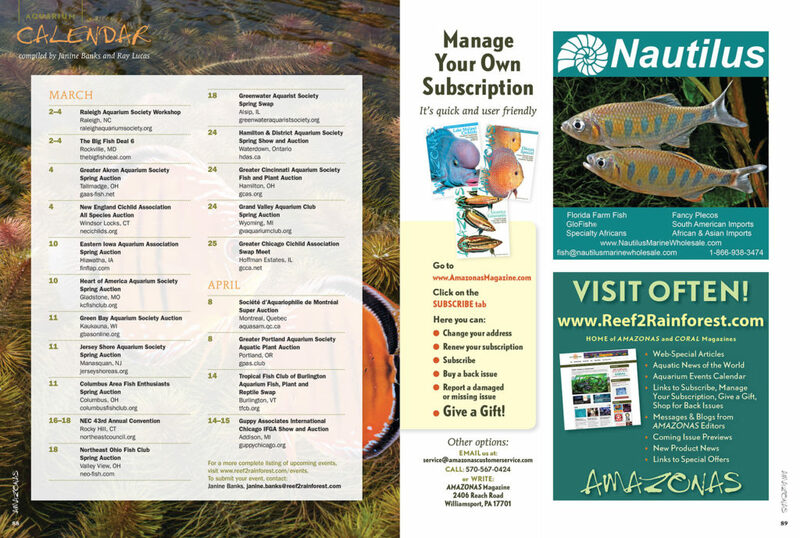 The March/April 2018 Issue of AMAZONAS Magazine is printed and on its way to magazine subscribers, local aquarium shops, and better bookstores. 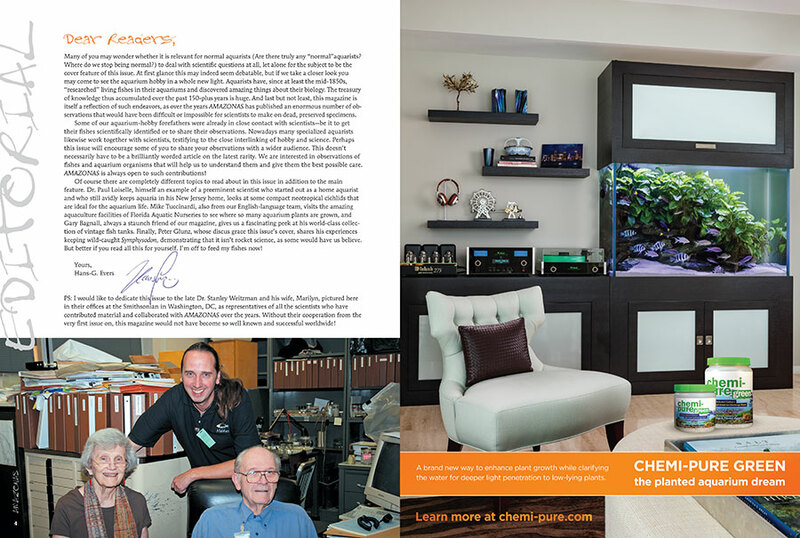 On sale February 6th, 2018. 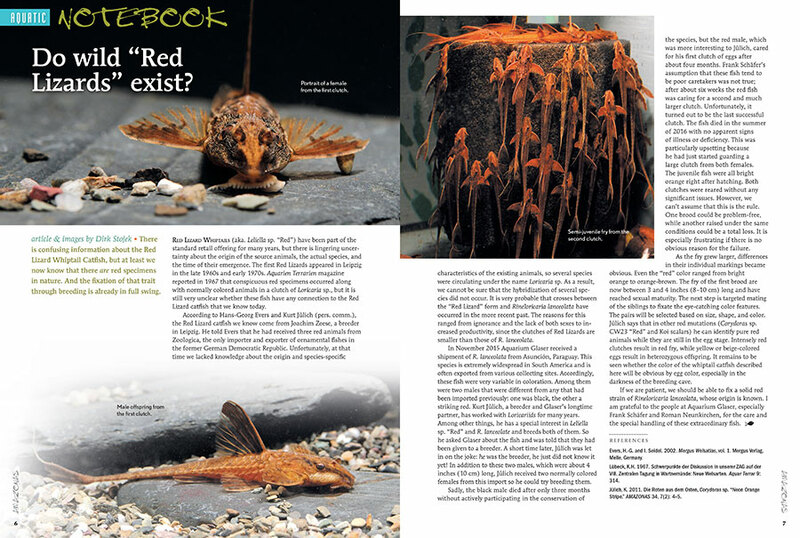 In this issue’s AQUATIC NOTEBOOK: Investigating the origins of the Red Lizard Whiptail Catfish, saving a native killifish, a homemade snail & shrimp trap, attending England’s Coryvention, and new Rhinogobius species. 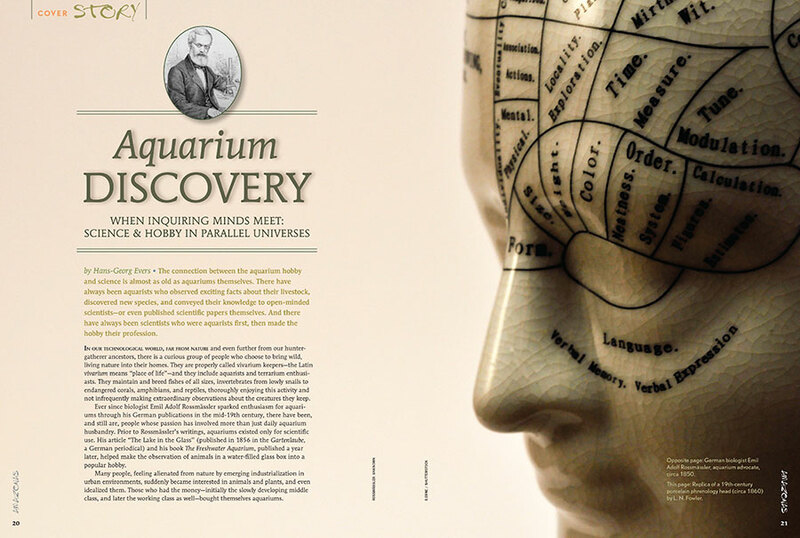 The connection between the aquarium hobby and science is almost as old as aquariums themselves. 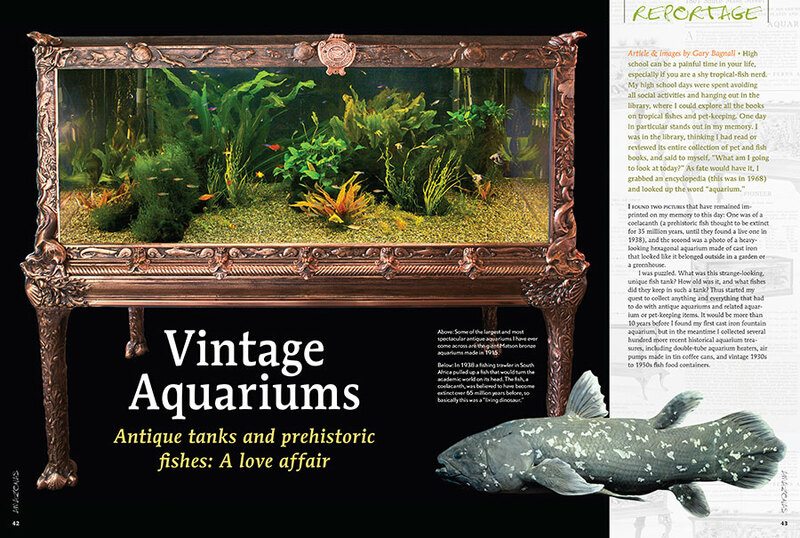 History is revealed in Aquarium Discovery by Hans-Georg Evers. 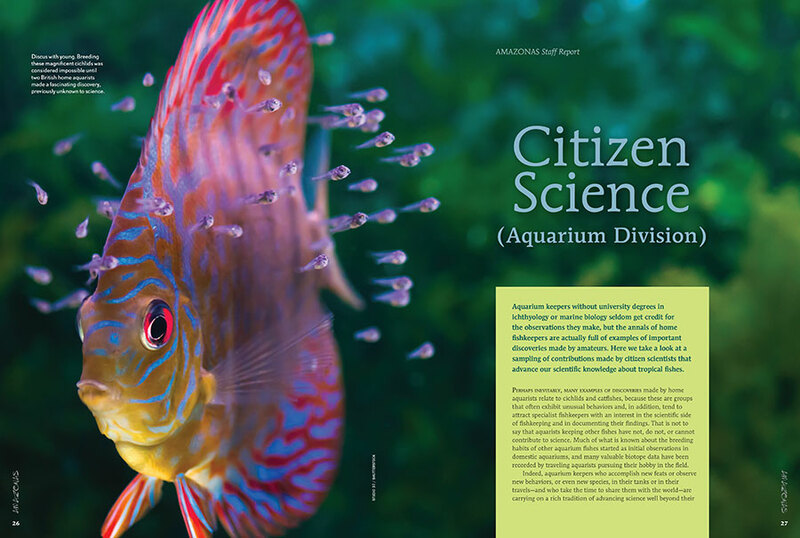 CITIZEN SCIENCE (Aquarium Division): Aquarium keepers without university degrees in ichthyology or marine biology seldom get credit for the observations they make, but the annals of home fishkeepers are actually full of examples of important discoveries made by amateurs. 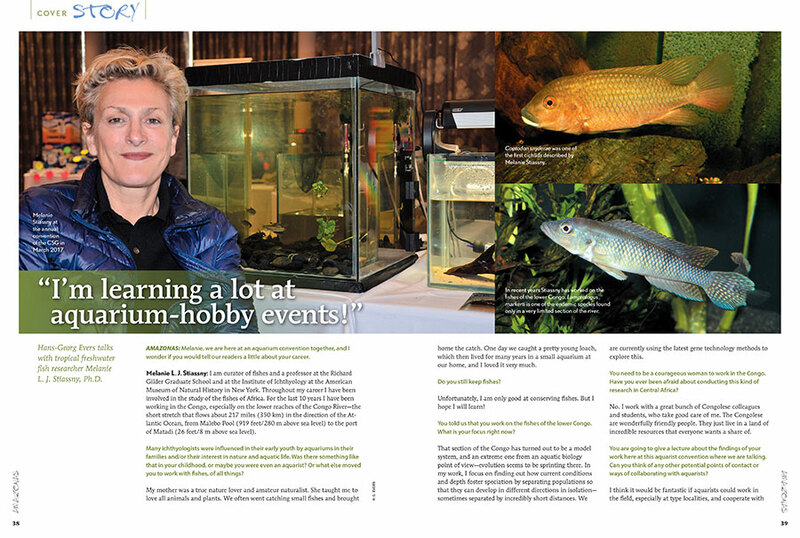 “I’m learning a lot at aquarium-hobby events!” Meet tropical freshwater fish researcher Melanie L. J. Stiassny, Ph.D. 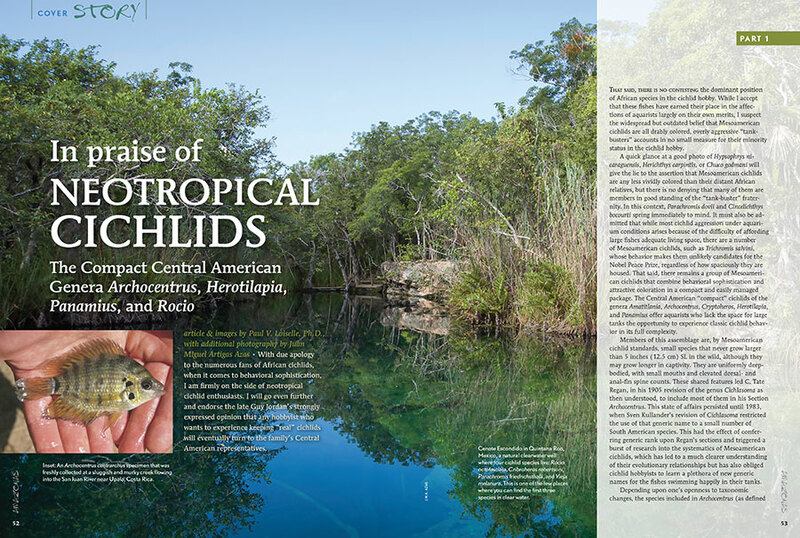 Journey to Central American with Paul V. Loiselle, Ph.D., to rediscover the compact cichlids from the genera Archocentrus, Herotilapia, Panamius, and Rocio. 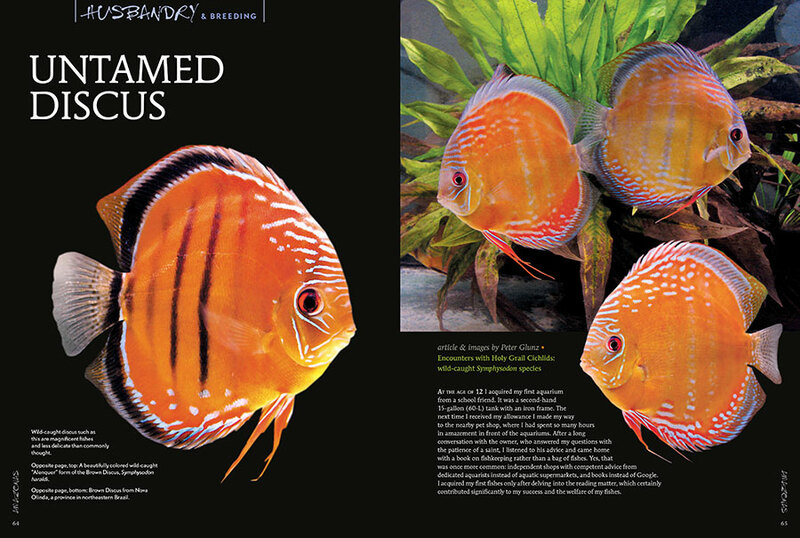 In “Untamed Discus,” Peter Glunz encourages you to reexamine the presumed difficulty of keeping and breeding wild discus. 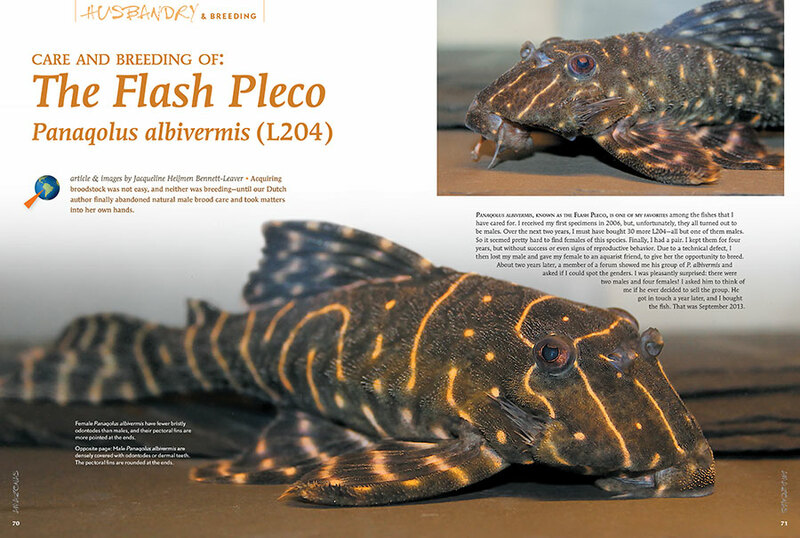 Acquiring broodstock of Panaqolus albivermis L204, the Flash Pleco, was not easy, and neither was breeding—until our Dutch author, Jacqueline Heijmen Bennett-Leaver, finally abandoned natural male brood care and took matters into her own hands. 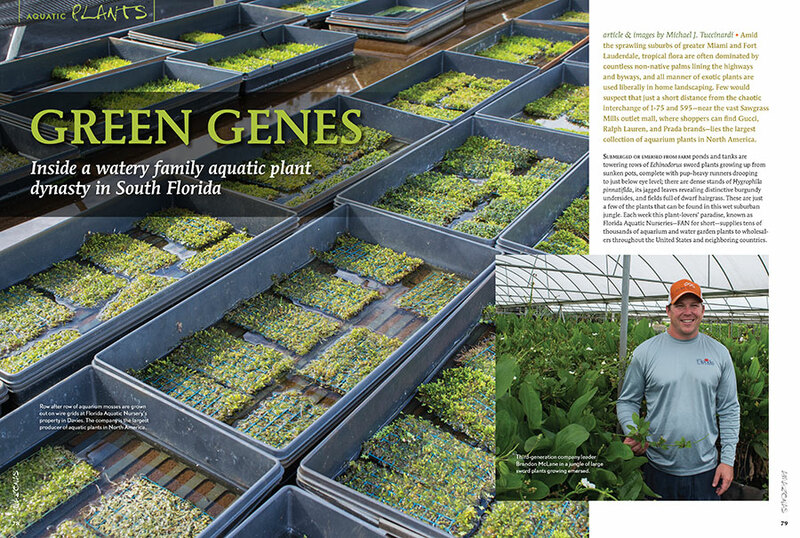 Michael J. Tuccinardi reveals one of Florida’s secrets: Few would suspect that just a short distance from the chaotic interchange of I-75 and 595—near the vast Sawgrass Mills outlet mall, where shoppers can find Gucci, Ralph Lauren, and Prada brands—lies the largest collection of aquarium plants in North America. 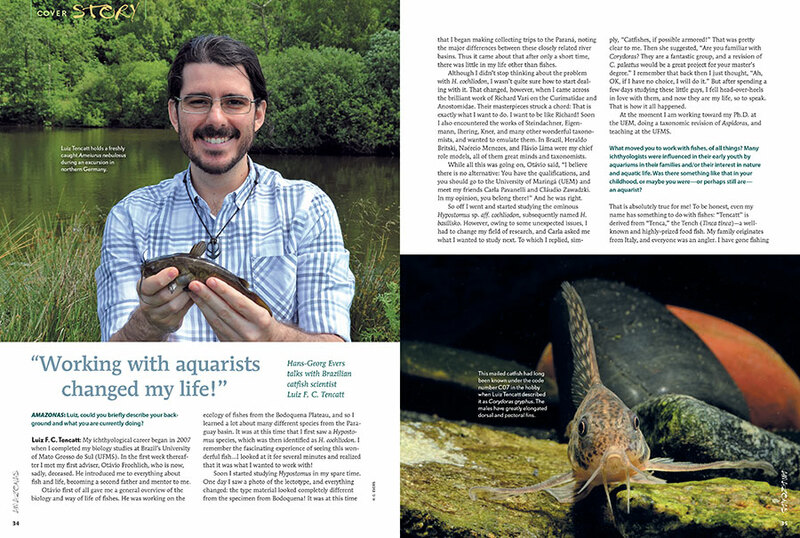 AMAZONAS Magazine’s must-read Species Snapshots reveal what’s new, exciting, or flying below the radar in the freshwater aquarium trade. 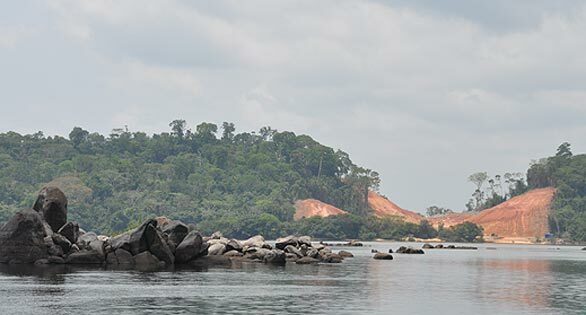 In this issue: a South American Micro-Darter (Microcharacidium eliotroides), an unidentified Spiny Eel from Malawai (Mastacembelus sp. “Rosette”), Gulf Gambusia (Gambusia vittata), Marbled Knifefish (Adontosternarchus clarkae), Da Nang Giant Danio, (Laubuka sp. 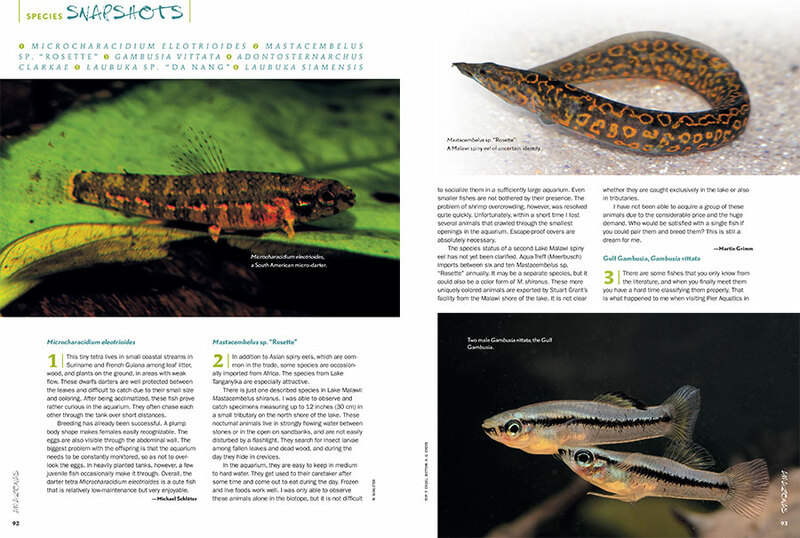 “Danag”), and Siamese Giant Danio (Laubuka siamensis).